Please join the Ohio Digitization Interest Group for our May meeting at the Oberlin College Library on Tuesday, May 21, 2019. Please register by Friday, May 17, 5pm at https://forms.gle/dgzuYB86wuiz3k178 Limit of 60. Overview of how and why The Cleveland Orchestra partnered with longtime local institution, the Cleveland Public Library, to digitize a large scrapbook collection, including the history of a collection in need of preservation, choosing a vendor, and the final outcomes. — Jon Endres, media & technology specialist; Jodi Kearns, digital projects manager; Jamie Newhall, senior multimedia producer, Instructional Services; Cummings Center for the History of Psychology/University of Akron. David P. Boder (1886-1961) was a psychologist who studied trauma. He gathered interviews with Holocaust survivors in 1946 across Europe using a Pierce Wire Recorder, among the first portable sound recording devices. In 2016, using a new device made from original analog and modern digital parts, we digitized the surviving spools of interviews, and identified a long-lost recording of folk songs. We will show off our equipment, process, and discoveries. — Megan Mitchell, digital initiatives librarian, Oberlin College. The Oberlin College Libraries and the Allen Memorial Art Museum recently collaborated to co-host an Art+Feminism Wikipedia Edit-a-thon, in which members of the community were invited to participate in the international campaign to create or improve articles on topics dealing with the arts, feminism, women, and gender. The Libraries provided training and research resources, the Museum provided the venue and created a list of articles that participants might want to edit. Tours: Following the meeting, tour Oberlin College Special Collections & Archives (http://www2.oberlin.edu/library/special/ | http://www2.oberlin.edu/archive/), including Table Top Scribe Scanner (https://blog.archive.org/2015/10/22/special-book-collections-come-online-with-the-table-top-scribe/), and LetterPress Studio (http://www2.oberlin.edu/library/special/letterpress-studio.html)! — Food: Coffee & snacks will be offered at the start of the meeting. Lunch will be brown bag. — Cost: There is no fee for attending, but we will be accepting donations for the refreshment kitty. — Location: Mudd Center–Room 050, Oberlin College (148 W College St, Oberlin, OH 44074). The Seeley G. Mudd Center houses the Mary Church Terrell Main Library, the central library facility for Oberlin College. This entry was posted in Conferences / Meetings, News on April 18, 2019 by Sherri Goudy. Job Class Concept: Developmental level in microfilm and imaging occupation requiring a working knowledge of image production in order to perform basic tasks involving records in paper, microfilm and electronic formats. Job Duties: Under general supervision, performs all key elements in the microfilm and image production process for projects undertaken by the Imaging Center, a division of the Records Center & Archives. Prepares documents, books and files for imaging. Checks for proper order and completeness, making targets needed for proper and consistent records identification. Operates a variety of document scanners, controlling document position, records content and image quality. Edits images for quality, content and completeness. Performs retakes as needed or instructed. Maintains timely and accurate log and production reports. Operates microfiche jacket-loaders to produce microfiche as directed by the Records Center & Archives Supervisor and/or Imaging Center Technician. Accurately types jacket headers and edits completed jacket and roll films for completeness. Operates diazo microfiche and microfilm roll duplicators to produce microfilm duplicates. Places master jackets in acid-free envelopes. Under the direction of the Records Center & Archive Supervisor and/or Imaging Technician, may be asked to operate the microfilm processor. May be required to load and unload Record Center boxes from carts and shelves as needed for imaging. Minimum Class Requirements: Equivalent to high school diploma. College credits in related field preferred. Basic computer knowledge and/or experience. Ability to lift 35-50 pound records center boxes without difficulty. Must have the ability to get along well with others and maintain a positive attitude. Must have the ability to work as a member of a successful team. This position may be subject to physical examination. This entry was posted in Job Posting on April 16, 2019 by Sherri Goudy. The State Library of Ohio is pleased to be working again with the Ohio Preservation Council (OPC) on a Special Collections Conservation Care workshop. This professional development opportunity will take place at the State Library of Ohio, June 4, 2019 from 9:30 am to 2:30 pm. Attendees will leave with an understanding of the criteria for selecting materials for conservation/preservation, basic evaluation considerations, how to find and work with a conservator, contracts and insurance and treatment documentation. Participants are encouraged to bring actual materials they are considering having conserved for an informal discussion about the range of treatment possibilities they might encounter. Those attending the class will be eligible to apply for a Conservation LSTA Special Grant of up to $4,999 to conserve one or more items from their collection. Attendance is limited to 30 institutions. Click here to register. For more information contact Cindy Boyden at cboyden@library.ohio.gov , lsta@library.ohio.gov or 800-686-1532. This entry was posted in Workshops on April 15, 2019 by Sherri Goudy. Vote Now for Your Favorite Ohio Archives Month Poster Image! Voting for the top images for the SOA Archives Month poster starts today and runs through Friday April 26. You can vote online for your favorite items. Click the image to enlarge it and click the box around it to select it. Happy voting and thanks to all the institutions who submitted something! This entry was posted in Archives Month on April 8, 2019 by Sherri Goudy. Please join the ALAO Special Collections and Archives Interest Group (SCAIG) for its annual spring workshop! Archivists and special collections librarians are stewards of unique resources. Instruction and reference librarians have in-depth knowledge about online and other print primary sources. This workshop will help participants consider ways that they might develop teaching opportunities for their collections and resources. The workshop is for anyone who is interested in developing a course-related session, a co-curricular learning opportunity, a for-credit course–there are so many possibilities! Register via the event page on the ALAO website. Registration closes Wednesday, May 15th, at midnight EST. Attendance will be limited to 30 participants. Additional workshop information and directions will be provided to all registrants. Please contact SCAIG co-chairs Nick Pavlik (npavlik@bgsu.edu) and/or Suzanne Reller (suzanne.maggard@uc.edu) with any questions. This entry was posted in News, Workshops on April 5, 2019 by Sherri Goudy. I am pleased to share that Wright State University Public History graduate students are presenting their annual Symposium on Thursday, April 11, 2019. The event is free and open to the public. No registration is required. Come and check out what our talented students have been doing. If you have specific questions about the Symposium, contact Dr. Drew Swanson, drew.swanson@wright.edu. This entry was posted in News on April 2, 2019 by Sherri Goudy. 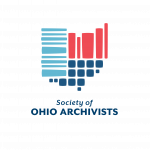 Ohio Archives News & Events: Ohio Library Support Staff Institute: 2019 Scholarship Contest is Open! Our Scholarship Content is open now through April 24th — Apply to attend the entire Ohio Library Support Staff Institute for FREE! More details below, and at olssi.org/scholarships. In an effort to help libraries and their support staff, OLSSI is offering three full scholarships to our 2019 conference. OLSSI Scholarships cover the entire $299 registration fee for the annual OLSSI event. This will allow three (3) scholarship winners to attend the 2019 Institute free of charge (even if the scholarship recipients have attended OLSSI before). 1. Be presently employed as a library support staff member. 2. Agree to contribute to the planning of the 2020 Institute as an OLSSI Steering Committee member. 3) How it might enhance your library/work performance. All applications must be written by the applicant, and not their supervisor(s). Deadline for scholarship entry is 5:00 PM, April 24, 2019. Winners will be announced on or before April 30, 2019. Remember to provide the contact information (see attachment, below, or visit https://olssi.org/scholarships/), along with your essay. Good luck & we hope to see you at Heidelberg University for Castle OLSSI – 2019! with our Early Bird Registration! Good luck!! This entry was posted in Contests, News, Scholarships on April 1, 2019 by Sherri Goudy. It’s a busy Spring, but take time to register for “Unbridled Resources” the 2019 OVGTSL Annual Conference! The deadline for registration is Tuesday, April 30. Our opening speaker is Hannah Buckland at Hennepin County Library and our closing speaker is Kate Deibel from Syracuse University. And sandwiched in between, lots of concurrent sessions covering a wide variety of topics. Spend a couple of days in the Bluegrass while learning from colleagues and enjoying Lexington’s unique brand of hospitality. Hope to see you in Lexington! This entry was posted in Conferences / Meetings on April 1, 2019 by Sherri Goudy.